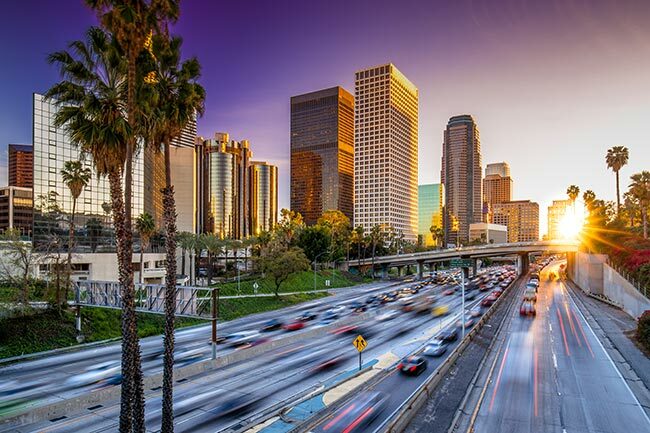 With a metropolitan population of 13 million, Los Angeles is the largest city in California and the second-largest in the country. Any city with such a large population must have an equally extensive economic base, and LA doesn’t disappoint. 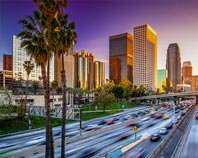 From aerospace production to automotive design to tourism to film production, the City of the Angels has mastered a myriad of business fields. ExpeditedFreight.com keeps up with these industries' evolving shipping needs. By bringing in supplies and sending out finished products for LA’s many firms, we keep the city booming under any conditions. The diversity of Los Angeles’s economy is both a strength and a weakness. On the one hand, it provides a robust source of jobs and wealth, allowing economic growth to continue even as individual industries decline. But even as LA residents and businesses enjoy these benefits, they also suffer from an array of closely-related logistical issues. In a city famous for gridlock, Los Angeles’s many industries make shipping problems even more difficult to resolve. Take local automotive design professionals like Fisker Inc. In order to make the prototypes necessary to bring new designs to life, they have to bring in a range of delicate parts. But carriers have trouble shipping these parts without breaking them, especially if they have to truck them in quickly over a vast distance. Multiply this problem by all the firms and industries in LA with similar needs and it becomes clear that shipping is no easy task in this city. ExpeditedFreight.com has never limited itself to easy tasks. We specialize in swift, safe expedited freight services, serving Los Angeles proper along with Santa Ana, Covina, Torrance, Anaheim, Pasadena, Long Beach, Downey, and Irvine. By planning all of our routes in detail, we get into and out of these locations quickly no matter how bad traffic is. We can thus bring all businesses in the LA area the supplies they need to succeed. As a dedicated freight company, we assign a truck to each order, giving us the flexibility to load specialized equipment that can keep the freight in question safe. We also require drivers to work in teams of two and take turns resting. Combined with planning routes that face little turbulence, this minimizes any risk to your cargo or our drivers. While your truck is on the road, our team uses advanced tracking devices to keep an eye on it. The benefits of this are twofold. First, it means that if anything on the route changes in a way that is likely to delay the vehicle, we will find out ahead of time and send the vehicle on a new route. Second, it allows us to give you location updates whenever you call our 24/7 help center. Considering that we ship all over the US and Canada, this latter benefit is especially valuable for customers that need to know precisely where their inventory is. For more on expedited delivery services in Los Angeles and beyond, contact ExpeditedFreight.com at (323) 648-3500.